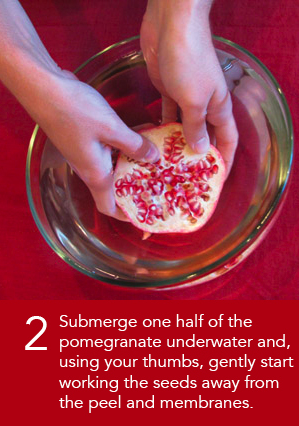 A pomegranate’s vibrant, red color and crisp, fresh flavor make it the perfect garnish for your favorite holiday creations. 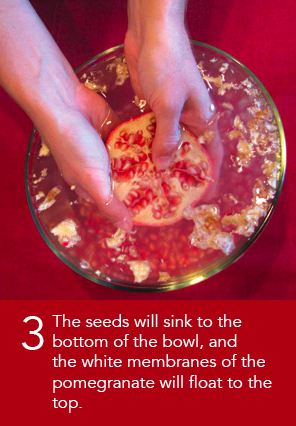 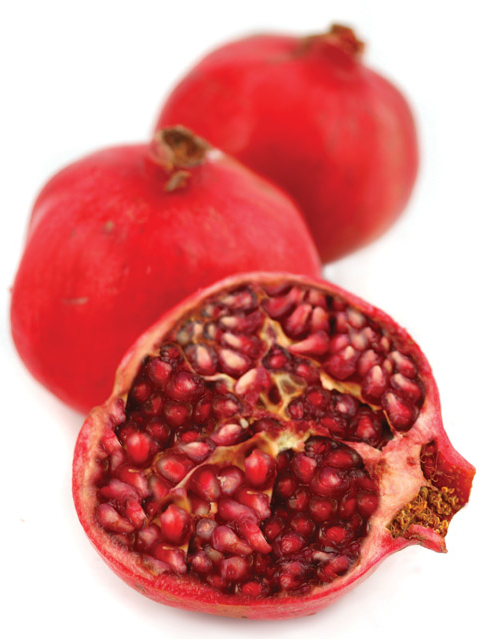 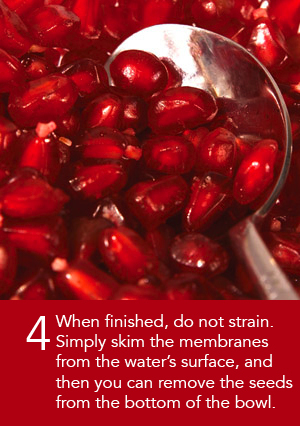 Unfortunately, some methods of de-seeding pomegranates are not only complicated but counter-productive. 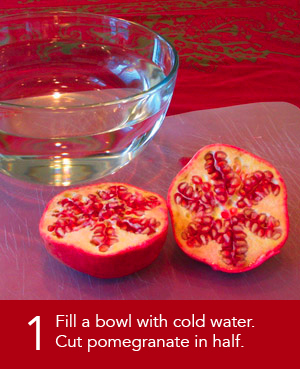 Instead, try this easy method.